It was only a matter of time before lawmakers in the United States took a look at loot boxes. Thanks to Electronic Arts, that time is finally here. 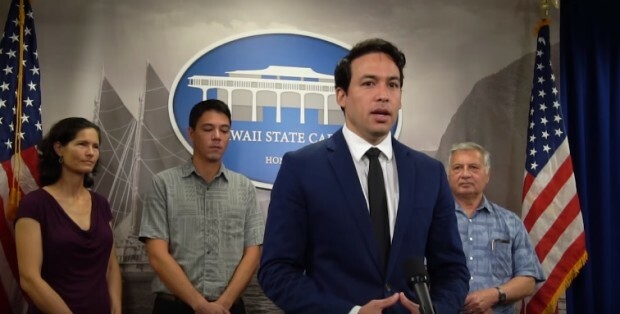 Representative Chris Lee of Hawaii is taking a stand against what he perceives as “predatory practices in online gaming.” His focus is due in large part to the Star Wars Battlefront II situation, but if any laws are passed, whether on the federal or state levels — Lee says “we have also been in discussions with our counterparts in a number of other states who are also considering how to address this issue” — they’ll have a wide-ranging effect on both pay-to-play and free-to-play games. To be honest, even with last week’s talk about loot box regulation in Belgium — and today’s update about the Belgian Gaming Commission not actually calling it gambling but still looking into it — I didn’t think U.S. legislators would get the ball rolling so quickly. It looks like all those “speed up progress” buffs games sell in their cash shops have finally paid off! I’m really annoyed everyone keeps blaming EA for the lootboxes, it wasn’t pay to win in the slighest, and many other games have been using lootboxes long before EA did. The only reason why it blew up with them was several short sighted youtubers saw that progression was somewhat tied to lootboxes(not entirely) and the fact that you could buy said boxes with real money and automatically claimed p2w. Unjustified hate, and they tried their hardest NOT to make the game pay to win, but people didn’t see that, all they see is “ooo it’s EA, the evil company”. As a side note, and don’t claim this as bias. But I enjoy loot boxes to some extent, mostly when it involves cosmetics. Paragon is a great example cause alot of their cosmetics are exclusive to their boxes and you don’t get duplicates or trash stuff. Unlike overwatch which is just a scam, took them a year for them to stop duplicates, but the boxes are plagued with trash. I kinda wish the USA Federal Government would get involved but it’s very unlikely the USA Federal Goverment will since the USA Federal Government is broken and got taken over by Corporations. But I am happy to finally see some lawmakers taking a stand against loot boxes because I’ve been frustrated being forced to spent thousands of dollars on loot boxes. I’ve being saying it for years: The industry either regulates itself or governments will be forced to step in and regulate it for them, and they won’t be happy when the government intervenes. The industry chose to browbeat and ban consumer advocates instead. Yup, I too have been going on about how lootboxes are disguised gambling and companies have been getting away with it for years, while people throw potentially thousands into it (granted, it’s their own stupid fault but it still needs regulation).